The most of EaseUS product can create a WinPE bootable disk, and the WinPE bootable disk only includes some common device driver. For some special drives, it can only be added after boot from the WinPE bootable disk, but it need to be added each time after you boot from the bootable disk. 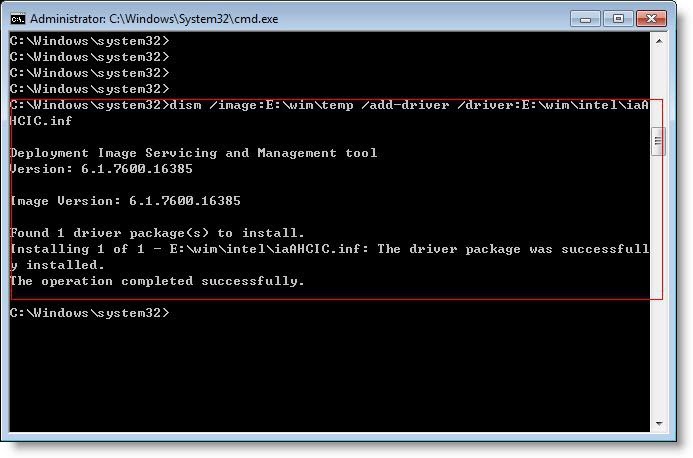 To avoid adding driver each time, we provide a solution to add desired drivers to the WinPE bootable disk ISO file directly, and then the iso file can be burned to a bootable disk. This article will let you know how to do that. 1. 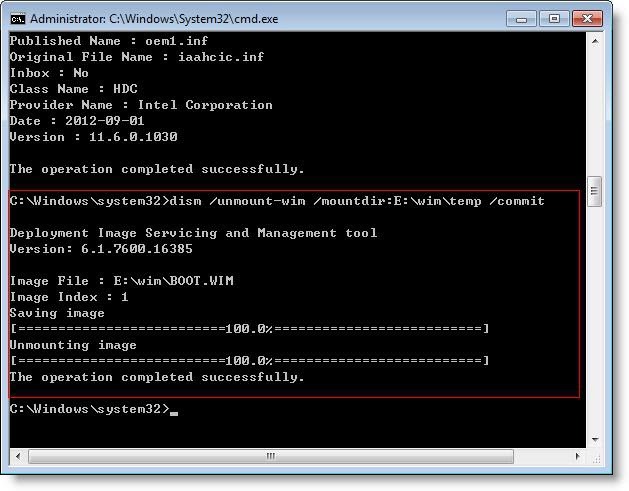 Run the create WinPE bootable disk function in EaseUS product to export an iso file. 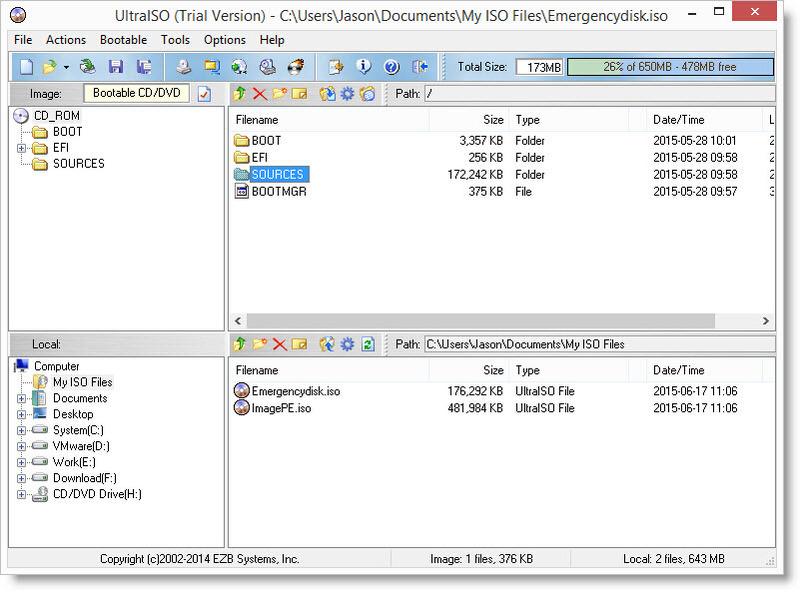 Then open this iso file with UltraISO tool and the UltraISO can be downloaded from here. 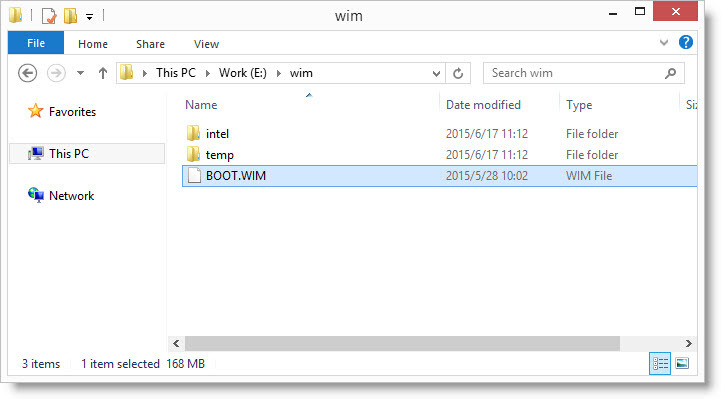 It is suggested that you should create a workspace on your partition, such as a wim folder on E: partition, then create an intel and temp folder under this folder. 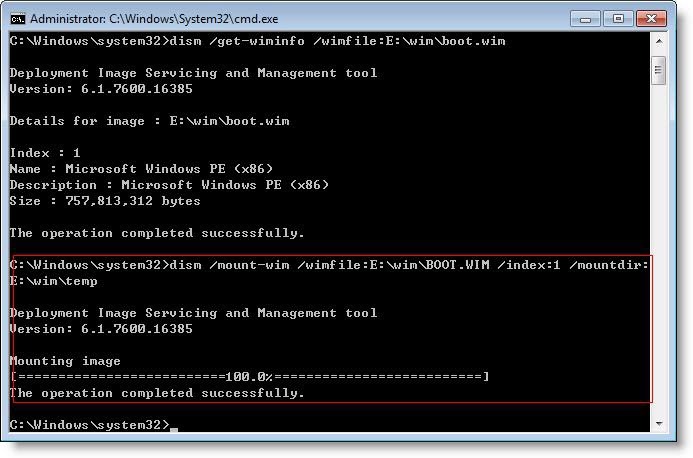 And then extract the BOOT.WIM file from the opened iso file and save to wim folder. 2. Download the desired drivers for your RAID, USB3.0 disk or network devices and save the drivers to intel folder. Such as the driver file iaAHCIC.inf and all the other related files. The version of driver file needs to be matched with the WinPE bootable disk. 3. 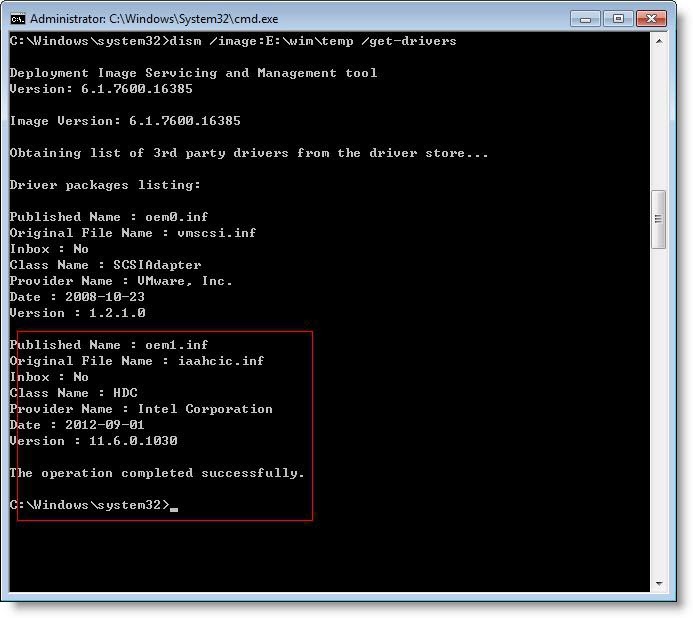 Run CMD with Admin account. 10. 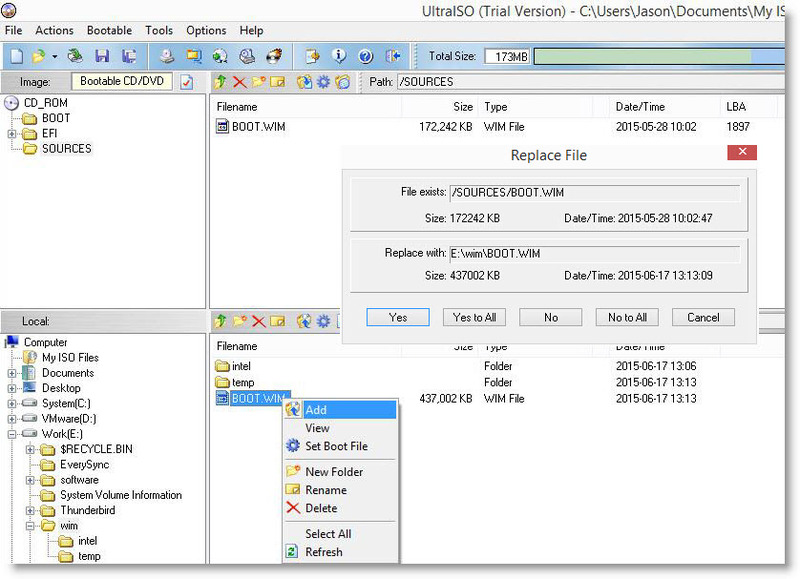 Use UtraISO tool to replace the original BOOT.WIM with the one which you have added driver and then save this iso file. 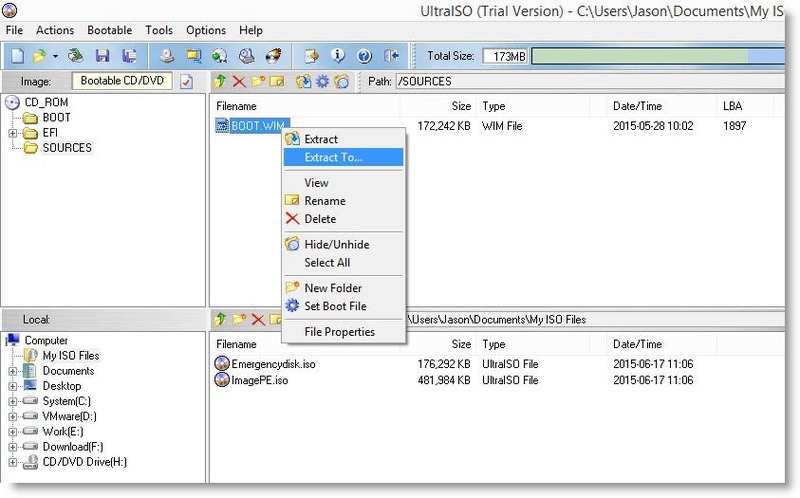 After that, the driver files have been added to this iso file successfully, and you just need to burn a bootable disk with a free third burn software.